As this year’s AOL Den bridged to Boy Scouts, several Pack 104 alumni participated in the ceremony and welcomed them to Troop 24. Congratulations to the members of Den 5! 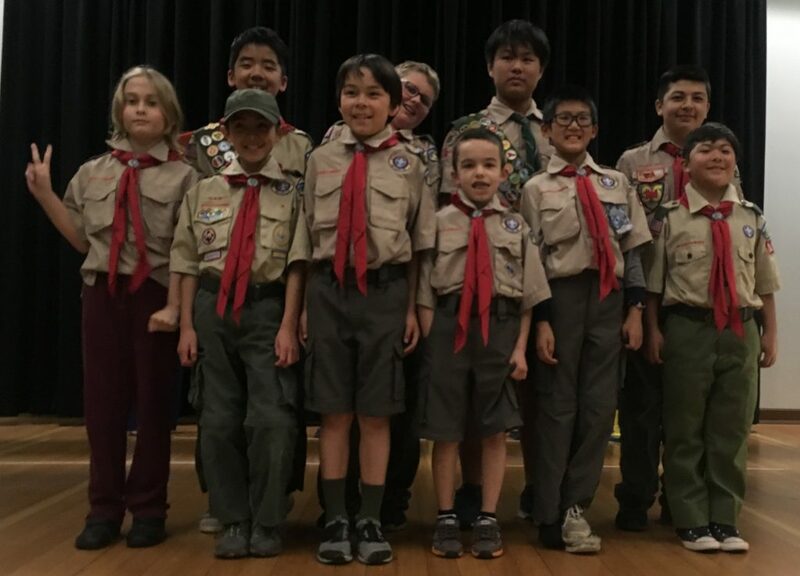 It’s been a joy watching your growth and achievement over the years as Cub Scouts, and we wish you all the best in the next stage of their Scouting careers.